Dimensions 0 by 10 by 9 in. Horses often grow up with these Âgapsâ in their training and education. When this happens, it can be difficult for the horse to be a willing partner to a human, and he may need to be ÂrestartedâÂthat is, given a second chance to learn what is expected of him and how he can find a place where he is confident and comfortable both beside a handler and beneath a rider. In order to restart a horse successfully, we need to know how to retrace the steps the horseâs education has taken and find the path missed the first time around. 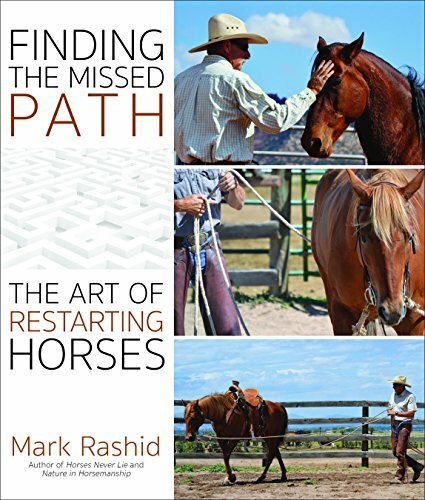 In this book, the first of the expansive library of books penned by Rashid to include full-color photographs, readers are guided through practical steps for restarting horses, using Rashidâs simple yet impactful concepts derived from years of study of martial arts. We walk along with him as he proceeds with the quiet sorting of experience that provides the insight we need to give any horse the new beginning he deserves. About: Horses are a lot like people,” says renowned horseman Mark Rashid.